Feldenkrais in Sitting: Ready For a 20-Minute Feldenkrais Break? Are you integrating Feldenkrais sessions into your daily life? Would you like to take 20 minutes and do so now with a session in sitting? I have recently re-recorded and updated the sessions from my “Eliminate Back Pain While You Sit” series and added an extra session based on the famous “Errol Flynn” lesson from the Esalen Workshop. Theses are simple, but crucial Feldenkrais sessions, great for the beginner and advanced student alike. I stand behind what I create and sell and I offer a “No Questions Asked” refund policy. If you are not completely satisfied with your download, for any reason, contact me for a full-refund. This entry was posted in feldenkrais, Feldenkrais Downloads, Feldenkrais Exercises, Feldenkrais mp3 and tagged Feldenkrais mp3 on February 17, 2013 by nagster. I just saw that someone posted a 5-star review on Amazon and Apple iTunes for Volume 2 of my “Feldenkrais Classics Series.” As a little hint, you can buy them from those two companies or You can get Volume 1 for free on my online store with ANY purchase. “I actually purchased this on iTunes before I saw it here. This is amazing. For years years I have had a shoulder/neck stiffness. Last year it got so bad it went down my right arm with constant pain. 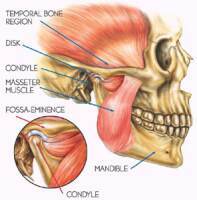 I also developed ( oddly to me) archillis tendentious on the left side. Dr. seen nothing and sent me off to PT. Some help, but no permenant cure. With the first session (of Feldenkrais Classics) I got relief. This is amazing! It will gently correct and release your body. If you have joint pains, frozen shoulder, jaw pain, etc. this will be a Godsend. If you exercise, have a sport you want to be excellent in, you need this to develop a balanced body. For whatever you need this (and believe me, we all need it) this will be the best $9.99 you ever spent. You will feel a difference from the first session. Thanks for listening! These are not reviews that I asked for or paid for, nor do I know the person who wrote them, they were (as far as I can tell) completely spontaneous. I have recorded a CD of Feldenkrais sessions in sitting and have also planned Feldenkrais Classics, Volume 3, but have to put them off for a bit…stay posted for details and updates. This entry was posted in Feldenchrist mp3, feldenkrais, Feldenkrais mp3 and tagged Feldenkrais mp3 on January 21, 2013 by nagster. They say that sometimes you eat the bear, and sometimes the bear eats you…but this time, I seem to have eaten the bear! Earlier today, I posted that in several days I would be ready to release Volume 2 of my “Feldenkrais Classics” series but I was able to get it all pulled together much quickly than I anticipated. Uhm…that rarely happens, but I won’t complain. I have had both a great deal of fun and exasperation pulling these sessions together. The exasperation was related to construction that was done about two blocks away from me, leading to a re-routing of several hundred buses to pass directly in front of my house everyday…for more than two weeks! It was almost impossible to record. And then there are the various things that can make Feldenkrais-based sessions so challenging (to me at least) such as occasional changes in sleep and emotions and thinking when recording, editing and experiencing complex Feldenkrais sessions. 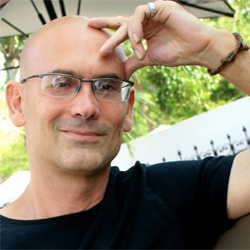 And I am a firm believer in the “non-habitual non-habitual” which means doing Feldenkrais sessions in a variety of unique environments such as late at night, in the early morning, in bed, and occasionally trying on pieces in public such as at a coffee shop or restaurant. That is not to say that I have been on the floor doing sessions in public, but people do look at me strangely when I take off my shoes, hold a foot and pass the knee inside and outside my arm. Somehow I seemed to do more of that than usual when pulling together these particular sessions. Have you ever tried non-habitual Feldenkrais? Sounds paradoxical? It’s not. There are patterns within patterns within patterns that we can play with. For me it has been life-changing and hope that it continues to be so. And not just for Ryan. 5. Differentiating Your Hip Joint. 7. Crawling” as in Crawling on Your Hands and Knees. Please note: You CAN do these sessions even if you have not yet done Volume 1. I stand behind what I sell. If you are not satisfied with the material, you will get your money back – no questions asked. * I have not done transcripts with this volume. Quite frankly, creating them for the last version was an ungodly amount of work and I am not quite ready to pay to have someone create them for me just yet. I will likely have someone create transcripts of these sessions in several months, though I cannot guarantee it. Will let you know. 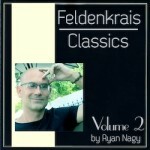 This entry was posted in feldenkrais, Feldenkrais Classics, Feldenkrais mp3 and tagged feldenkrais, Feldenkrais mp3 on October 27, 2012 by nagster. I’ve recently started updating my html and programming skills by working with a “local” expat programmer here in Mexico. It’s been a great deal of fun having immediate access to someone who likes to teach and knows a great deal more than I do about programming. If I stay in Mexico long enough, I may start inviting some Feldenkrais practitioners down here for a similar type of immersion. In the meantime, I’d like to introduce you the new look of my mp3 store and website that came about through my collaboration: Feldenkrais mp3 store. If you find anything that you would like to purchase, use the discount code “2012” when you checkout for 30% off of whatever you order. I rarely discount my prices, so take advantage of this deal before it expires. I won’t do another for a year or more: Feldenkrais Downloads. By the way – Let me know what you think of the new design? This entry was posted in Feldenchrist mp3, feldenkrais, Feldenkrais Exercises, Feldenkrais mp3 and tagged Feldenkrais mp3 on December 27, 2011 by nagster. 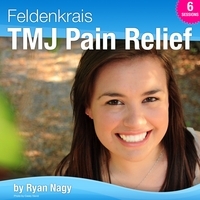 Feldenkrais and TMJ: The Mayo Clinic Gets It Wrong. 2) Customized to a client’s special needs. And treatments that can cause permanent changes in the bite or jaw should be avoided. This entry was posted in feldenkrais, Feldenkrais mp3, Feldenkrais Research, theory, Feldenkrais TMJ and tagged Feldenkrais mp3, Feldenkrais research on June 15, 2011 by nagster. It has a very succinct and clear meaning for those in the software industry. Producing stuff that is amazing, elegant and cutting edge is important. Yes, yes, yes. But it is infinitely more important to actually produce something that works and get it to users; to ship it. Get it out the door. Have a success or failure in the real world. It works much better than having one in your head. That’s not just about movement. Got that? It could be useful to make a mental note of that or write it down. Now, think about what you want. You can build on those answers. Take a moment and note them. Again, you may want to write them down and put them someplace where you will remember them. (Ask enough times and you will remember automatically). This entry was posted in feldenkrais, Feldenkrais Exercises, Feldenkrais mp3, Feldenkrais Quotes, moshe feldenkrais and tagged feldenkrais, Feldenkrais mp3 on December 30, 2010 by nagster. “If ye have faith as a simple mp3, ye shall say unto this CD, “Convert into digital format and move hence to yonder place.” And it shall move. And nothing shall be impossible to you.” – Moshe Feldenkrais, Sermon on Making the Impossible Possible. 2) There are a huge number of people in the world who don’t buy CD’s. How many people do you see at the Gym with CD players now? However, if your CD’s are sold as mp3’s and a person can buy them instantly – regardless of where they live – and have them on their computer or iPod in seconds…what do you think will happen to your sales? So shall it be done. You don’t know how to convert CD’s to digital audio? You can learn. It’s free. Get a free copy of iTunes for your Mac or PC. Insert your CD. Find the “import” command. iTunes will convert your file to digital and import it. You don’t know how to sell audio online? You can learn. It’s free. Get a free 67-day trial to E-Junkie. You don’t even need a credit card. Nor do you need a credit card nor merchant account to accept money. View my free E-Junkie videos and learn how to sell your products. If you can cut and paste, you can use E-Junkie. You don’t have any products? Create some. It’s free. If you have a computer you can create an eBook using OpenOffice. If you have a Mac you probably already have built in microphones that allow you to record. Most PC’s have them too. You don’t need an extra $100 to $500 per month selling Feldenkrais mp3’s? I don’t believe you. But if it’s true, create some products, sell them and give the money to charity. Better yet, give them away for free. Saving people that you have never met from getting back surgery, carpal tunnel surgery or living a crappy life builds good karma. And self-esteem. This entry was posted in feldenkrais, feldenkrais marketing, Feldenkrais mp3 and tagged feldenkrais, Feldenkrais mp3 on December 3, 2010 by nagster.